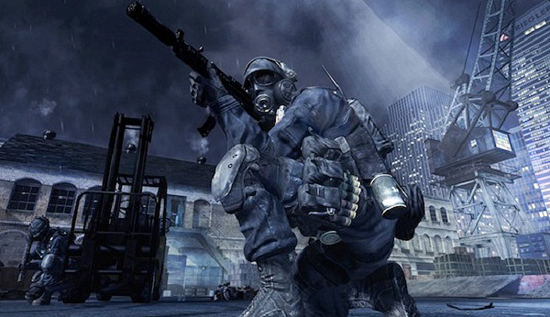 GAME NEWS: Activision Release The Launch Trailer for 'CALL OF DUTY: MODERN WARFARE 3'! Activision have released their launch trailer for Call of Duty: Modern Warfare 3, which arrives in roughly 2 weeks time on the Xbox 360, PlayStation 3 & PC this November 8th. The game is the thrilling sequel to the multiple Game of the Year award winner, Call of Duty: Modern Warfare 2 that launches you into the carnage of intense battlefields once again. Its been a long wait especially with Treyarch's highly problematic & frankly unfinished effort Call of Duty: Black Ops. Hit the jump to check out the trailer. I'm reading: GAME NEWS: Activision Release The Launch Trailer for 'CALL OF DUTY: MODERN WARFARE 3'!Tweet this!